In May 2006, I wanted to believe it when Stephen Sondheim told me that a revival of A Little Night Music was being talked about and that "Angie would be perfect as the old lady." Would my dream of finally seeing Angela Lansbury on Broadway come to fruition? Yes! But not in A Little Night Music - not that I'll complain about the several benefit performances and the two plays she did. Alas, years passed and we still had no revival of Sondheim's most intimate and adult musical work and I was beginning to lose hope. Then in April 2008, I saw a production in Baltimore and just knew that it would be the one to finally transfer to Broadway. But, it took a high profile production in London to finally do the trick. 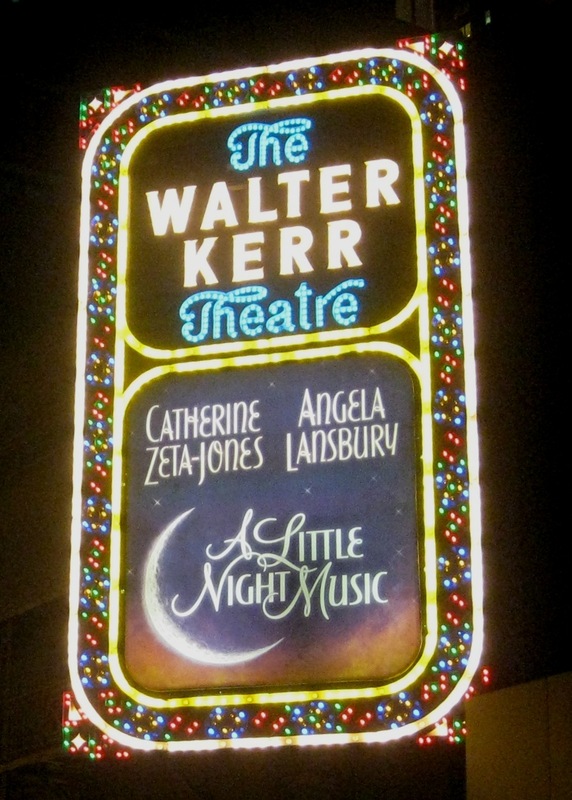 Tonight, 36 years after the opening of the original A Little Night Music on Broadway, we finally get a revival. Tonight is the first preview of an open run. The stars are Catherine Zeta-Jones (Broadway debut), Angela Lansbury (5 time Tony winner) and Alexander Hanson (Broadway debut). Supporting cast members are Ramona Mallory (Broadway debut), Hunter Ryan Herdlicka (Broadway debut), Leigh Ann Larkin, Erin Davie, Aaron Lazar, Bradley Dean, Marissa McGowan, Betsy Morgan, Karen Murphy, Jayne Paterson and Kevin David Thomas. A wonderful connection tying this production to the original is that Ramona Mallory, who will be Anne Egerman, is the daughter of Victoria Mallory and Mark Lambert, who played Anne and Henrick in the original production. Notably, Alexander Hanson is reprising his role as Frederick Egerman from the London production. This also marks Angela Lansbury's 13th full production on Broadway (did you know that 13 is my lucky number?)! I have been watching the comings and goings at the Walter Kerr Theatre for weeks and tonight I'll finally be in the house. I'm practically sitting near heaven in the cheapest seat in the balcony, however it is yet to be seen if I'll actually feel like I'm in heaven. I'll say my chances are pretty good.